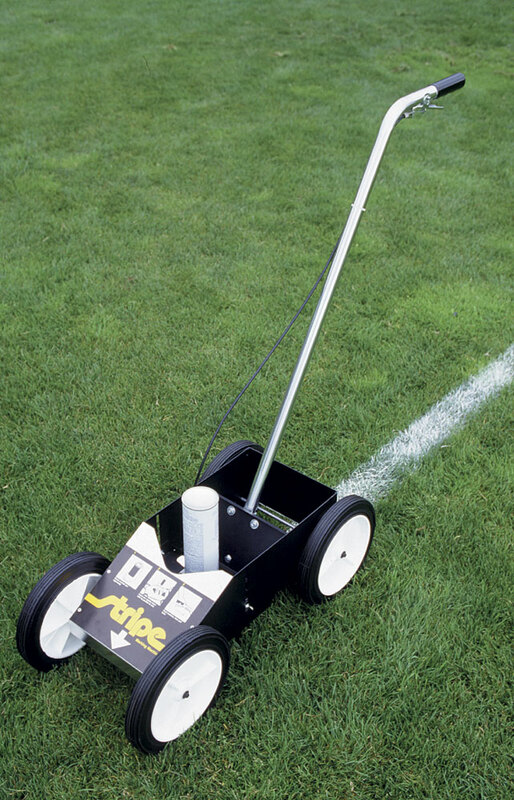 This lightweight portable aerosol applicator saves time and labor. Athletic fields can be striped and decorated with ease. Create crisp, sharp stripes in widths from 2" to 4". 10" wheels. Holds 12 extra cans.